What an opportunity! 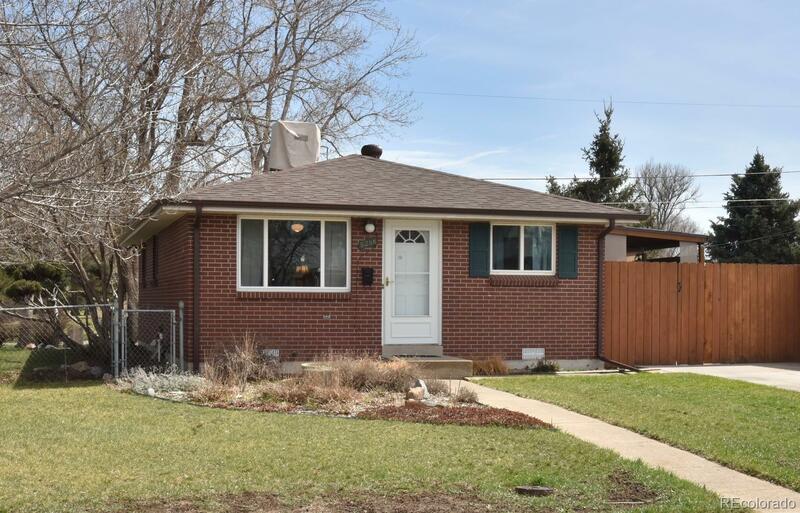 This solid brick ranch home is situated on a corner lot yet backs to Columbine Park! Just one neighbor to the south offers you more privacy. Easy access to I-70. Close to Olde Town Arvada and all it has to offer. Same owner for more than 15 Years spells ‘pride of ownership’. Original wood floors, updated windows, new roof in 2017 and fenced yard allows for plenty of room for the dogs. The kitchen has been updated with modern cabinets, appliances, hip corrugated steel backsplash, pantry, eat-in space and the covered patio is just Steps out the back door. The laundry could be re-located into the 3rd bedroom closet but is perfectly useful with its current setup for a flex room, utility, storage or office space-you decide. Don’t wait on this one!